Prototyping circuit boards is an important part of product development. Ordering prototypes from a PCB manufacturer is either very slow or very expensive (and still kind of slow). 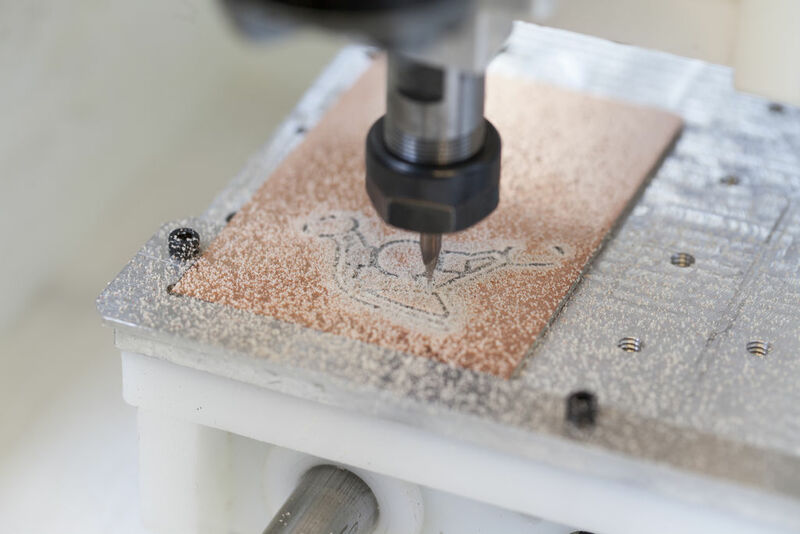 To speed up the process, many people etch boards themselves, which is much faster than ordering them but requires toxic chemicals. What’s an .svg file? Scalable Vector Graphics (.svg) is a common image file format. Unlike raster image files (like .jpg, .gif, and .png) that store images in grids of colored pixels, .svg files store image information as lines and shapes. As such, they can be scaled to any size and still look perfectly sharp, unlike a .jpg, which may look fuzzy and pixelated when scaled up. 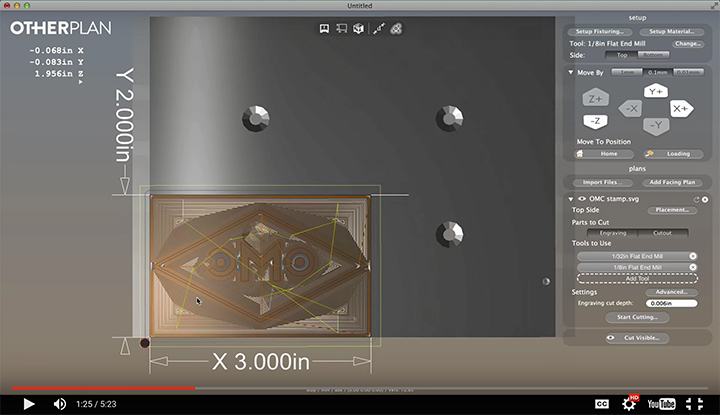 More importantly, because .svg files store shapes instead of pixels, Otherplan can turn the shapes into toolpaths, which you can then cut on the Othermill.